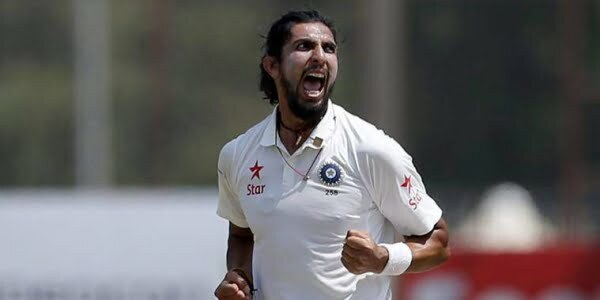 Indian tall right-arm pacer Ishant Sharma’s furious spell left the hosts English team in tatters in their second innings of the first Test at Edgbaston (Birmingham). In one over, the 29-year-old picked up three wickets that put to serious trouble the English cricket team. On Friday morning, England began the day three of the first Test on their overnight score 9/1. However, they hadn’t a good start as the Indian off-spinner Ravichandran Ashwin continued his good performance in this Test match by picking up two wickets in the opening hour. While Ashwin bowled the opener Alastair Cook for the duck on the last night, another opener Keaton Jennings (8) and the skipper Joe Root (14) were the next victims of Ashwin on the day three as both were caught out at slip by KL Rahul. Later, Sharma delivered his furious spell in the suitable condition that began in the last half-an-hour of the first session of the day. In the latest news, Sharma has taken four wickets in this innings after dismissing Dawid Malan (20), Jonny Bairstow (28), Ben Stokes (6) and Jos Buttler (1). Among them, the last three wickets were fallen in one over that ran between the two sessions. Before taking three wickets in an over, Sharma dismissed Malan who edged an outswinger towards the gully and Ajinkya Rahane grabbed that one. Then the lethal 31st over comes, where Sharma picked up three wickets. On the second ball of that over, wicketkeeper-batsman Bairstow edged an inswinger that carried to the first slip which was brilliantly caught by Shikhar Dhawan. On the fourth ball of the same over, Stokes lost his wicket after his edged against an outswinger was brilliantly caught by the Indian skipper Virat Kohli at the third slip position. After this wicket, umpires called for the lunch as England was on 86/6. In the next session, Sharma completed that over where he picked up another wicket. On the last ball of that over, Buttler’s thin top-edged was easily picked up by the wicketkeeper Dinesh Karthik. England is now fighting as they are batting on 131/7 before the bad light has stopped the game. Sam Curran and Adil Rashid are batting on 30 and 15 respectively.